Have you ever wondered how a car frame stays together? Did you ever admire a wrought iron fence, but never knew how it was made? 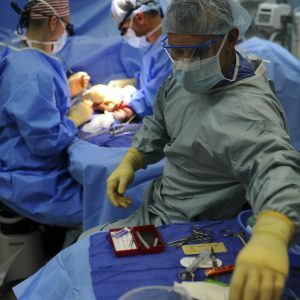 Do you want a more hands-on job in the field of computers and electronics? It sounds like you might want to explore becoming a professional or hobby welder. Fortunately, hobby and professional welding start at the same place, with basic welding equipmentand basic instruction. Whether you’re a hobbyist or aiming to be a professional, you may want to apprentice with someone or take a welding class for beginners, so you understand basic skills. 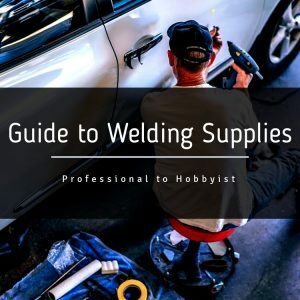 Here is a list of welding supplies most beginning welders need. Your mentor may add one or two more things to the list, but this should get you started. You may need to get a grinder and a welding table, but most likely your mentor will have them and will allow you to use theirs for the time being. MIG welding is the easiest type of stick welding to learn and the results are often stunning and impressive! It’s also a great way to practice and get comfortable with your tools. 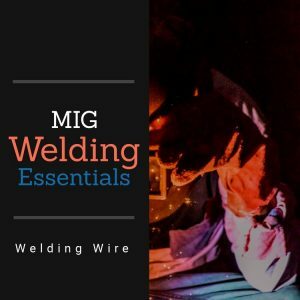 If you enjoy MIG welding, you can go on to explore the many different welding supplies, techniques and types of welding. Regardless of how far you take your welding passion, we always recommend safety first. Our training material and articles can help keep you on the cutting edge of welding, but they can also help with safety standards and the latest safety precautions, too. Are You Ready To Become A Welder? 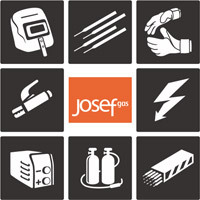 If you want to learn more about welding, welding supplies or about being a welder, visit JosefGas. Whether you decide to become a hobbyist or “go pro”, we can help to guide you through the world of welding. Contact us for more information!